Las Cruces, Santa Ana - This passed Wednesday, coffee miller & exporter, Cuatro M, was able to make a contribution on behalf of Campos Coffee, in support of two school programs within a farm community school named Centro Escolar Dr. Jose Maria Vides, near to Finca & Beneficio El Manzano. Thanks to the support of Sydney, AUS based coffee roaster, Cuatro M was able to continue its yearly development program for its third year. Following the visit of Campos' own Will Young & Benjamin D'Emden to El Salvador in April of this year, Cuatro M was able to begin dialogue the principal and staff at the school, in order to determine which programs were in need of support. Through those conversations, it was initially observed that the physical education program had no equipment with which to hold practices and drills for the students throughout the day. In response, Emilio was able to visit a sporting goods store in Santa Ana and, through the advisement of the teachers and principal, purchase balls, bats, gloves, cones, whistles, stopwatches, other training equipment that will be used to hold athletic classes, practices, and games for the kids throughout the school year. As conversations continued and additional visits were made, it was identified that the school lunch program was without sufficient supplies with which to prepare and serve food to students throughout the week. Within rural schools in El Salvador, public schools provide lunch for each of their students through a government supported program, both to ensure that students have sufficient nutrition before and after classes, and also as an incentive to families experiencing any shortage of food, to send their children to school. A problem the schools face however, is both in receiving the monthly supply of food, and also having sufficient supplies with which to prepare and distribute the food to their students. Through our visit to the local schools, speaking with administrators and teachers, and understanding that many of the students within this school are children and grandchildren of many employees within Finca & Beneficio El Manzano, we are excited to share in the commitment to meeting these expressed and observed needs, and are grateful to the commitment of companies like Campos Coffee, to use the sale of their coffees to make these programs happen; and develop the community farm schools training the children of those producing and preparing their coffee. In the coming months, Cuatro M will also help to resurface the outdoor concrete court, at the center of the school, and look into beginning a music program, through the donation of instruments. 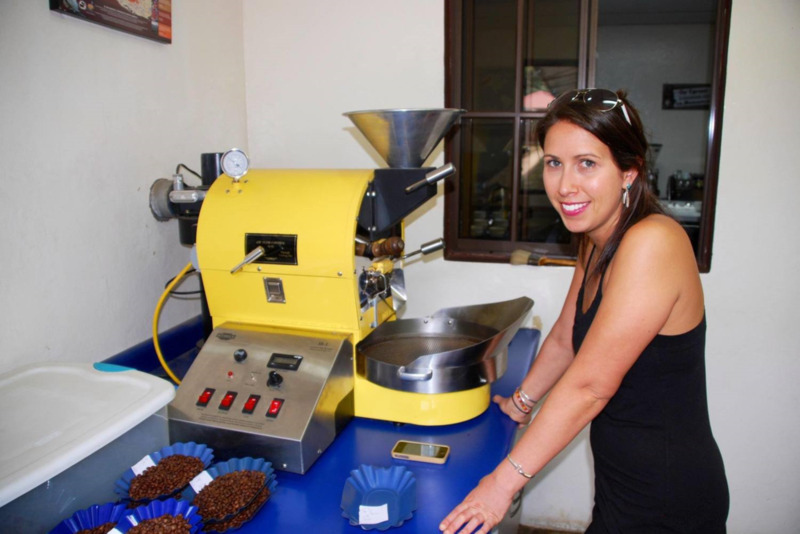 This is the third year of the program, to which several roasters and importers based around the world have contributed to programs and schools throughout the growing region of Santa Ana, such as the lunch program in the Ayutepeque School and science & technology program at Escuela de Educacion Especial Elisa Alvarez de Diaz. Read about the development program and donations made in previous years.